Escaping an abusive home is a brave but stressful and difficult decision. It is enough for a woman to worry about getting herself and children to safety; to have to consider pets’ safety, too, can make the move overwhelming. In fact, several studies show that somewhere between 25-40% of women delay their departure or stay with their abuser all together because they worry about what will happen to their pets when they go. We have long known a behavioral link exists between animal abuse and human abuse: violent behavior toward animals often acts as a precursor to violence against people. Social scientists, abuse counselors and law enforcement refer to this cycle simply as “The Link.” In domestic abuse situations, some abusers harm the pets’ of their victims in order to intimidate or coerce them back into the relationship. Other times, pets are simple victims of abuse themselves. Recently, bipartisan legislation was introduced in Washington that aims to assist victims of abuse and their pets. The Pet and Women Safety Act (PAWS Act) would establish a federal grant program that helps domestic violence shelters house both women and their companion animals. 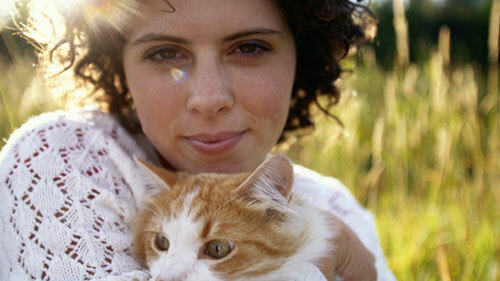 The APA strongly supports keeping people and pets together, especially during challenging, uncertain times. Women in abusive relationships are often made to feel isolated, scared and lonely. Their companion animals provide security, reliability and comfort during an especially challenging period. The proposed legislation would potentially benefit thousands of women one day, and we hope you will encourage your representative to cosponsor or support the PAWS Act and help keep families together. Until the day when pets are able to stay with their people in safe places, the APA offers Domestic Violence Pet Assistance. This program fosters the pets of victims while they are in shelter and reunites them with their family once they are back on their feet. During that time, the APA provides all medical care, vaccinations, food and shelter at no cost to the family. The APA has offered Domestic Violence Pet Assistance – the only safe harbor program for pets in the St. Louis region – since 1997. In that time, we have served hundreds of women and pets, and we see every day how important it is to provide protection and services for abuse victims and their animals. By fostering her pets while a woman is in shelter, we give her time to focus on herself and to regain her independence outside of a violent home. When the family is reunited afterward, it’s a happy ending for everyone.